The Battle of Fort Bull was a French attack on the British-held Fort Bull on 27 March 1756, early in the French and Indian War. Lt. Gaspard-Joseph Chaussegros de Léry led his command consisting of forces from the Troupes de la Marine, Canadian militia and Indian allies on an attack against Fort Bull on 27 March 1756. Shielded by trees they sneaked up to within 100 yards (91 m) of the fort. Léry ordered a charge at the fort with bayonets. They stuck their muskets into the narrow openings in the fort and shot the defenders. Léry repeatedly asked for their surrender. Finally, the gate was crashed in and the French and Indians swarming in killed everyone they saw. The French soldiers looted what they could and set the powder magazines on fire. The fort was burned to the ground. Braddock led about 2,000 army troops and provincial militia on an expedition in June 1755 to take Fort Duquesne. The expedition ended in disaster, with Braddock mortally wounded. 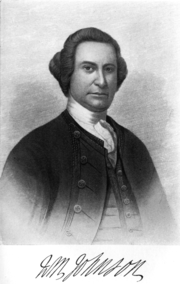 Two future opponents in the American Revolutionary War, Washington and Thomas Gage, played key roles in organizing the retreat. One consequence of the debacle was that the French acquired a copy of the British war plans, including the activities of Shirley and Johnson. Shirley's efforts to fortify Oswego bogged down in logistical difficulties magnified by Shirley's inexperience in managing large expeditions. 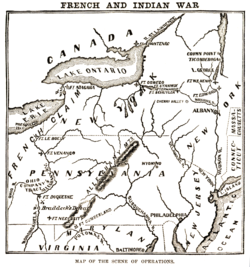 When it was clear he would not have time to mount an expedition across Lake Ontario to Fort Ontario, Shirley left garrisons at Oswego, Fort Bull, and Fort Williams (the latter two located on the Oneida Carry between the Mohawk River and Wood Creek at present-day Rome, New York). Supplies for use in the projected attack on Niagara were cached at Fort Bull.